Drain Adjusts To Any Length! Need an efficient way to control water in your basement? Look no further! water by solving bulkhead water problems through the collection of surface water before it enters the basement. Its patented cantilever valve system opens and closes automatically to deliver water to the GrateDrain system. When not in use, the valve is tightly sealed to prevent odors, moisture, and water form coming back into the basement. 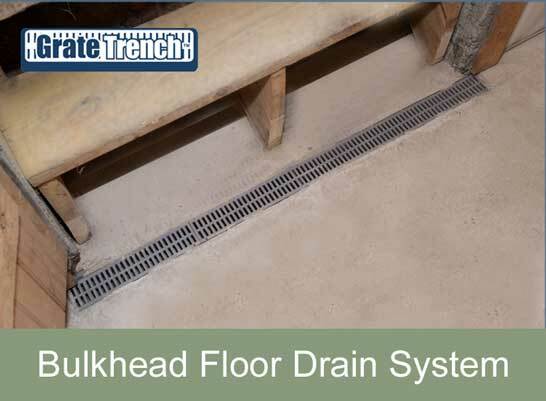 The GrateTrench™ serves a wide range of applications and can adjust to any length. Contact us about GrateTrench in Richmond, Virginia as well as Fredericksburg, Charlottesville.